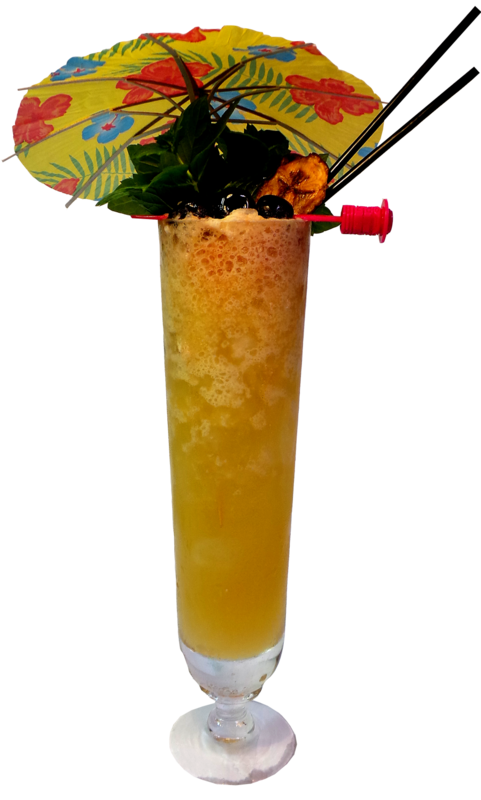 It`s time to add another swizzle to this blog and i just recently stumbled on a post over at the Atomic Grog blog about the Mai Kai Swizzle and it got me thirsty… and since i had never made that swizzle i tried it – and i find it tasty. Unfortunately i don´t have the same rum as the recipe called for so i might have missed that thing which makes it stand out a bit. 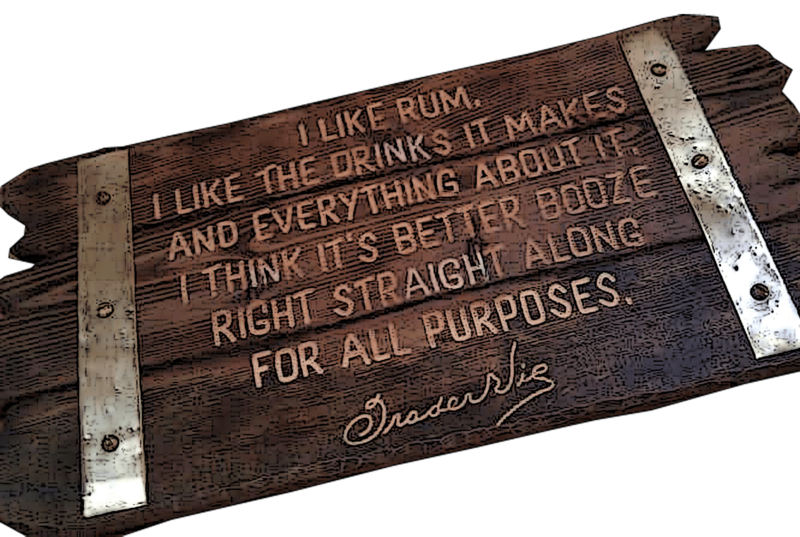 That said it doesn´t mean you can`t make it nice with other rums and that´s the beauty of rums – you can create so much variation. The post says it needs that golden rum from Appleton but since i don´t have it i decided to use Appleton Extra – one of my favorite rums…because i have many – and let the drink get a healthy dose of two overproof or strong rums. I really like overproof rum – when used right it takes a cocktail or tiki drink to the next level, not just in strength but also flavor and we know that stronger proof concentrates flavors better. 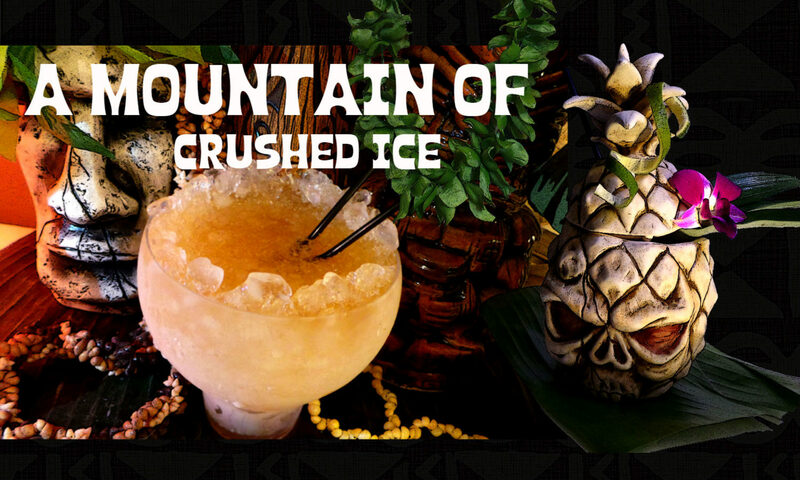 But one needs to be careful though, it´s so easy to have one drink too much..
Coruba overproof (75%), Lemon Hart 151(75.5 %), Pusser´s overproof (70%), Plantation dark overproof (73%) Smith and Cross ( 57%) Tiki Lover`s Dark (57%) and JWray overproof (63%) and in this drink i used the Plantation dark overproof because it´s flavor profile fitted the other rum best i figured. The swizzling technique is another thing to mention but instead of writing the same things again i point you readers to this excellent post. 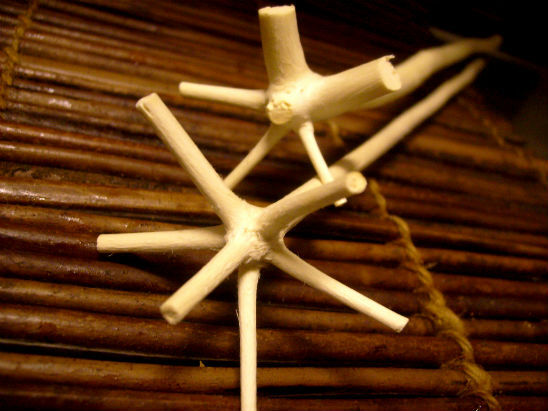 It´s fun to swizzle and it gets even better if you have one of those original swizzle sticks from the swizzle stick tree – (Quararibea turbinata) which grows in the Caribbean and whose branches grows in a forked star shaped fashion thus producing perfect swizzle sticks! – called bois lele on Martinique. Bois lele.The thicker one is from Guyana and the other is from Martinique. You can get the original swizzle sticks here. So now i got the ingredients, the shaker and glass, the ice and the swizzle stick or bar spoon, let´s get started! Swizzle in cocktail shaker with 1 cup crushed ice. 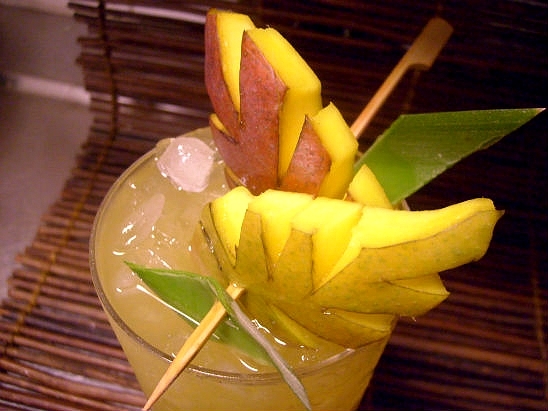 Pour into a stemmed cocktail glass and fill up with more crushed ice if needed and garnish with a mango slice – or like i did here with my fruit carving knife – a palm frond out of the mango fruit. 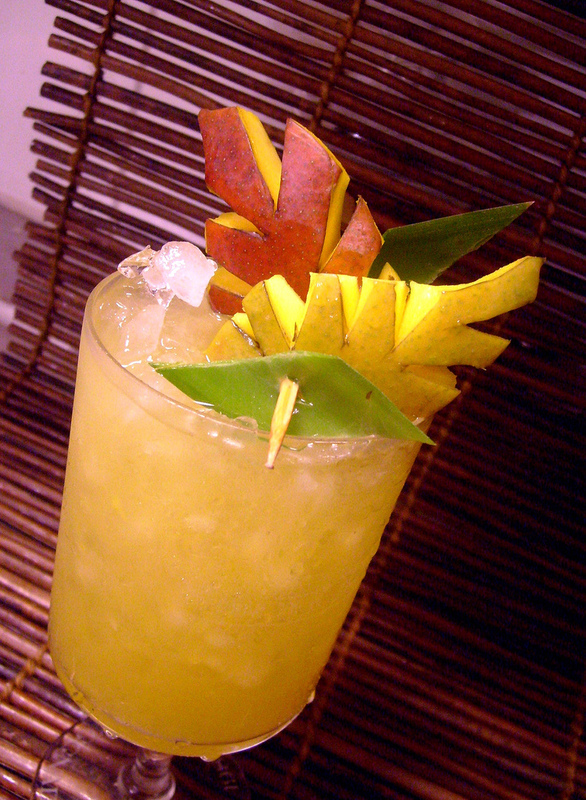 The combination of mango juice, orgeat and falernum is a bit special and very tasty, very tropical. Since i don´t have Appleton Special Gold rum i can`t compare this stronger version with the original, all i can say is that it´s tasty and rummy. Oh these look so mouthwatering! Thank you for your visit and kind words. Oh i sooo wish i could be there!! so much fun and so much yum!! i`m very happy too they`ll serve my version of the St. George’s Punch, let me know how it tasted! This is totally getting me in the mood for Hukilau next week! Made my reservations, got tickets to all the seminars including Beachbum’s Zombie seminar, made Mai Kai dinner show reservations. . . and can’t wait to see how George mixes up a Tiare St. George’s Punch!